2017 was the year of canyons and gorges. Unexpectedly. 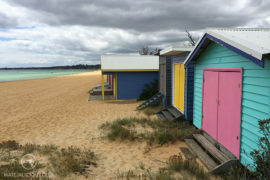 It began with the Sardinian Gola di Gorropu and then rolled into my Australian adventures. Gorges continued to show up when I least foresaw. The central Australian landscape got me totally unprepared for what was waiting for me. How could have I expected that the desert would hold this many gorges and small oases which shelter the water source? 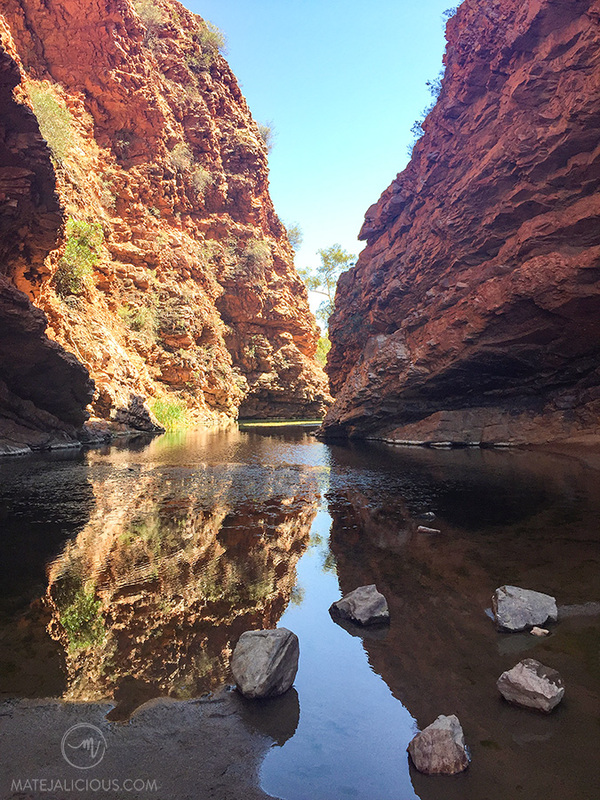 Northern Territory road trip was an amazing adventure by itself, however, discovering gorges located in the MacDonnell Ranges west from Alice Springs was a definite highlight when approaching the Red Centre. 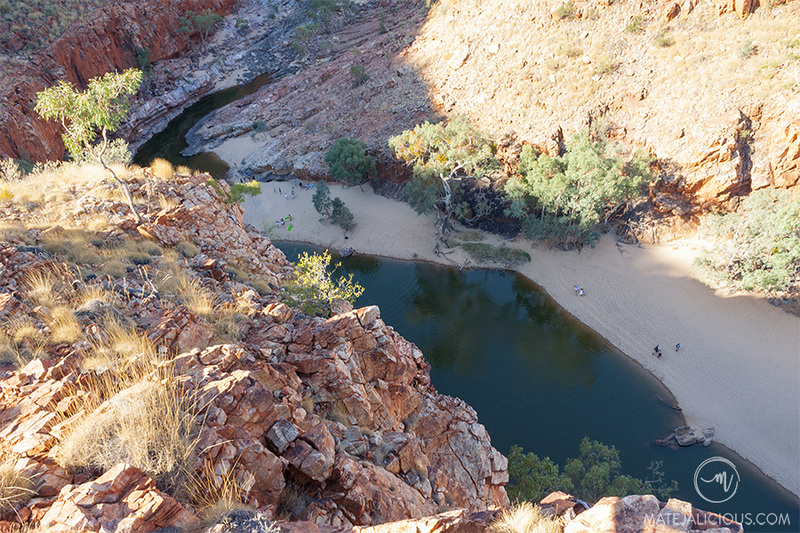 I put aside 2 days to explore spectacular waterholes, gaps, gorges and everything in between. 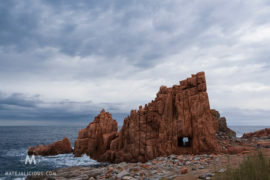 Interested in learning more about these gorges or already planning a visit? 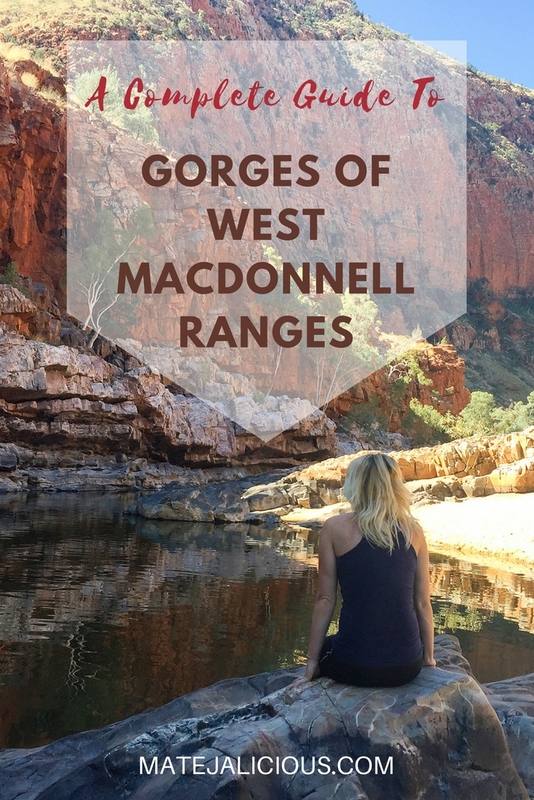 Here it is, A complete guide to gorges of West MacDonnell Ranges. Where exactly are West MacDonnell Ranges? 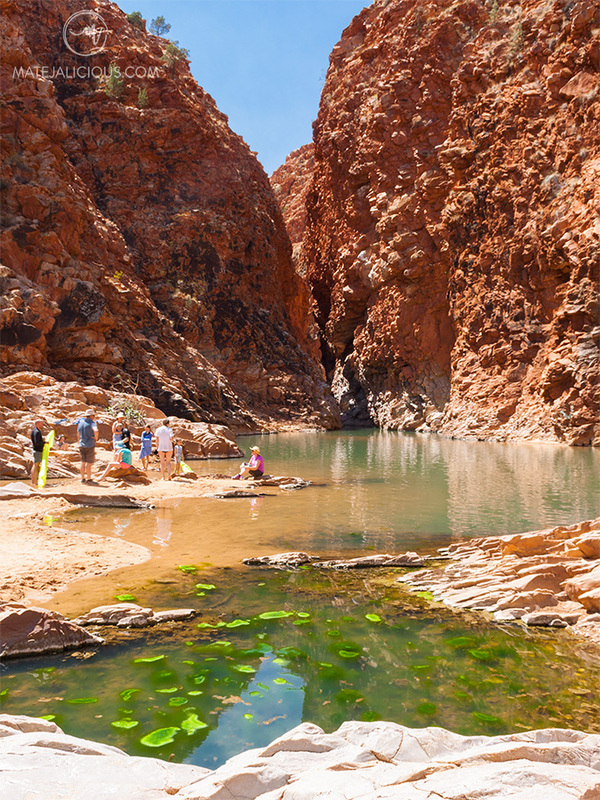 West MacDonnell National Park is located on the doorstep of Northern Territory’s biggest city Alice Springs. It is a vast section of the whole MacDonnell Ranges (the area that also includes East MacDonnell Ranges). The Park extends for over 200 kilometers west from the city along the Larapinta and Namatjira Drives. The eye-popping scenery starts unfolding right away as you move along this left-side edge of the Park. You wind in and out of the park as you discover scenic gorges and gaps along this backbone. Why so many gorges in one place? 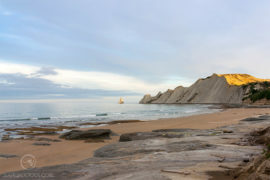 This area has been shaped for more than 300 million years by geological processes of erosion, folding and faulting. The outcome of these activities is today visible in the form of the mountain range with many ridges, valleys, gaps, and gorges. This part of Central Australia used to be covered by the sea, but today we can only witness small water oases that have become shelters for many animals and plants. How To Travel West Macs? In my opinion, a 4WD is the way. Also, 4WD is an absolute must if you’re entering the park via the Red Centre Way (Kings Canyon) as you’ll be driving on a gravel road for most time of this leg. 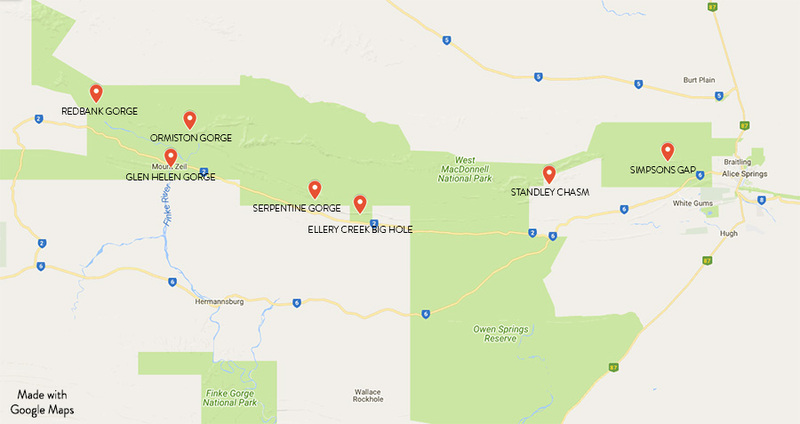 The road from Alice Springs is sealed and appropriate for all 2WD cars, but eventually, it might mean that you won’t be able to access a few of the gorges that are often accessible only by dirt roads. 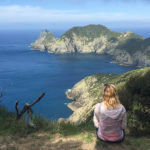 I had a chance to travel with a 4WD campervan and I wouldn’t change it. My only concern was finding a suitable accommodation for the night. Where to stay in West MacDonnells? Exploring the area for two or more days requires some logistics and planning as you need to find a place for the overnight stay. I advise against returning to Alice Springs each day only for sleep (unless you’re exploring gorges 1 day only). 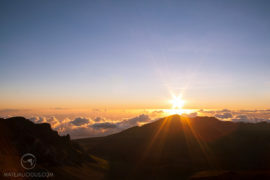 Instead, stop and spend the night at one of the camping sites. There’s a good range of them throughout the West MacDonnell National Park. 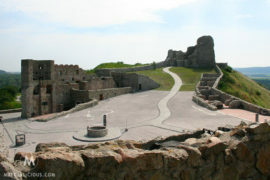 They vary from quite basic ones to others with more facilities available on their grounds. I’ll include specifics later on. I wanted to visit and see them all. Some of the stops I made were quick, but there were also others that I wanted to stretch as long as I could. Most of the gorges hold some body of water, however, few were almost dry at the time (early October). 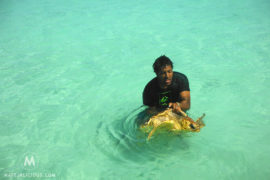 Swimming is not allowed in few of them. It is quite refreshing though, wherever permitted. It’s such an ideal way to spend the afternoon when you want to escape the heat of the day. So let’s explore the gorges of the West MacDonnells a bit closer starting from the Alice Springs side and moving towards the west. 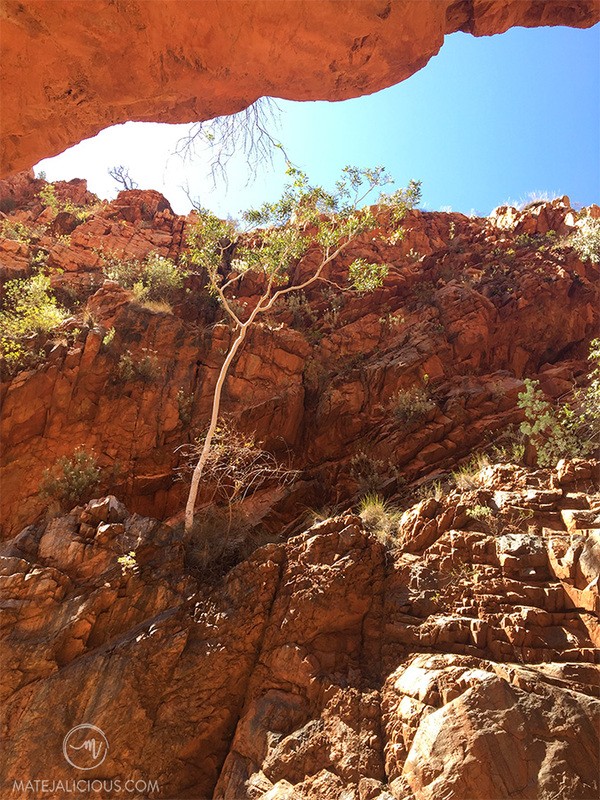 Simpsons Gap is a narrow gorge located only a short 17km drive out of Alice Springs. Many people hire a bike from Flynn’s Grave and make it a day trip. 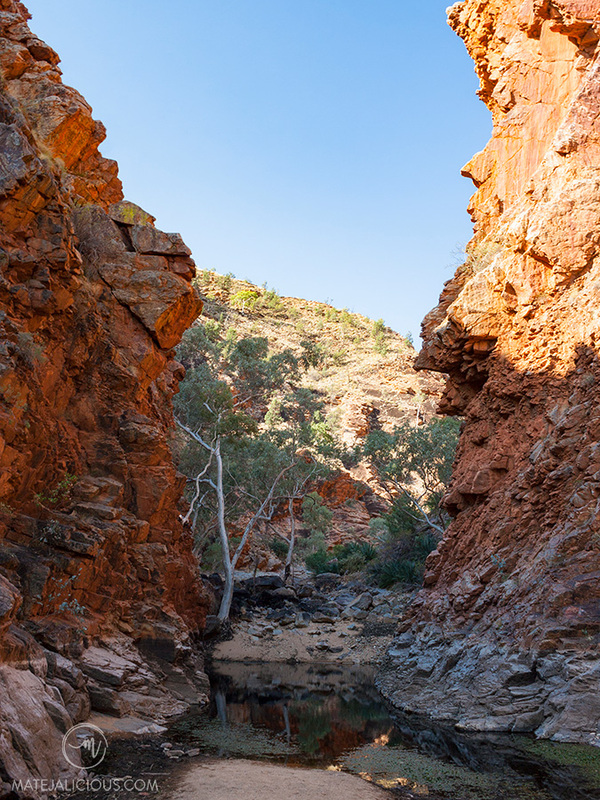 It’s one of the more stunning gorges in the area, featuring a shallow but permanent waterhole, cliffs of Simpsons range and small Black-footed Rock-wallabies. They are only around half a metre tall and often blend with the rocky slopes around the creek. It’s so much fun trying to spot them along the short walking track! 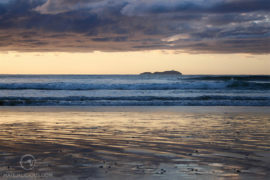 • Facilities: toilets, water, gas BBQs, picnic area, wheelchair access, visitors centre. 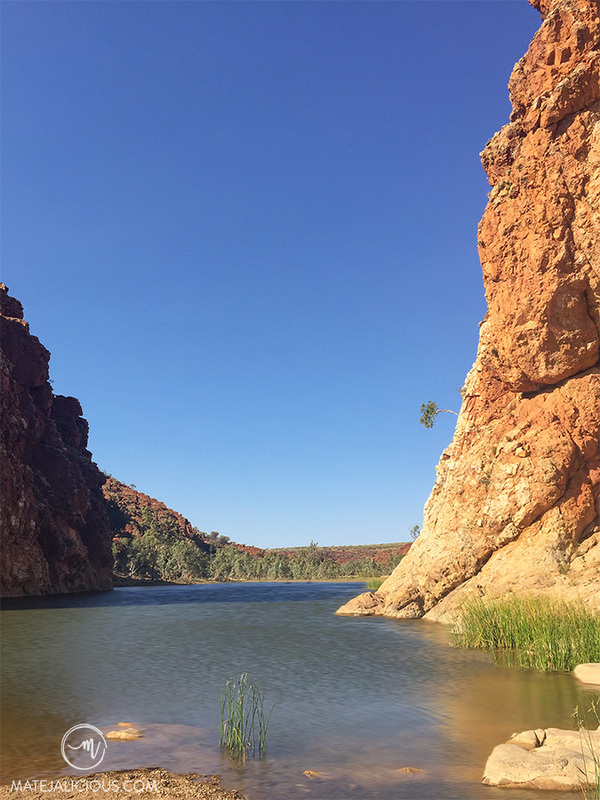 Next gorge is located about 50km west of Alice Springs and is operated privately by traditional owners (there is a $10 entry fee). 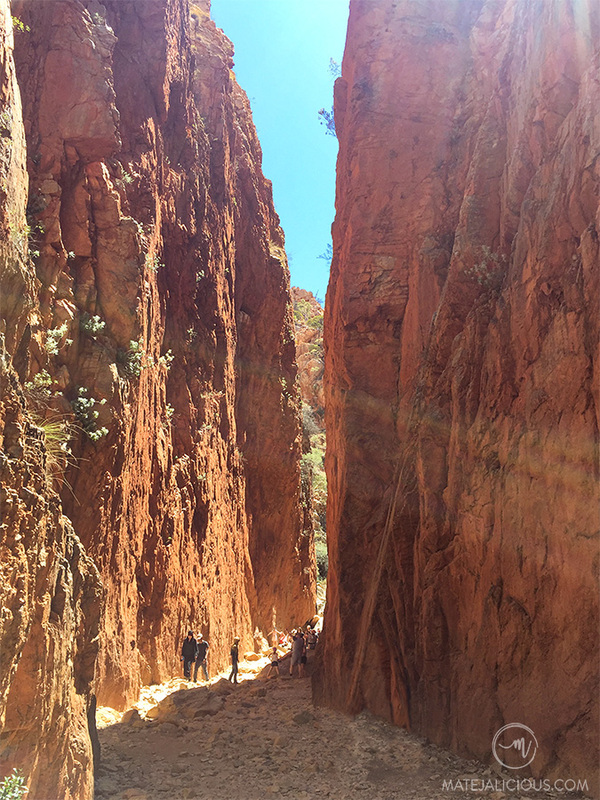 The dramatic geological formations of Standley Chasm are over 1 billion years old! It’s an ideal place to visit around noon when the sun is high on the horizon. You’ll be able to witness some of the fieriest oranges and reds reflecting off the walls of this natural alleyway. 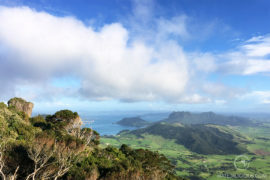 • Facilities: campground, toilets, food and drinks, picnic area. Ellery Creek Big Hole is a very popular waterhole in Tjoritja (West MacDonnell National Park), surrounded by high cliffs and sandy creek. Being one of the largest in this area, it’s such a great spot to swim and just relax. 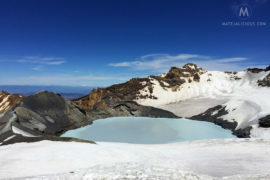 The waterhole here is quite deep (up to 28m) and becomes very cold, so you need to be careful and take extra care. 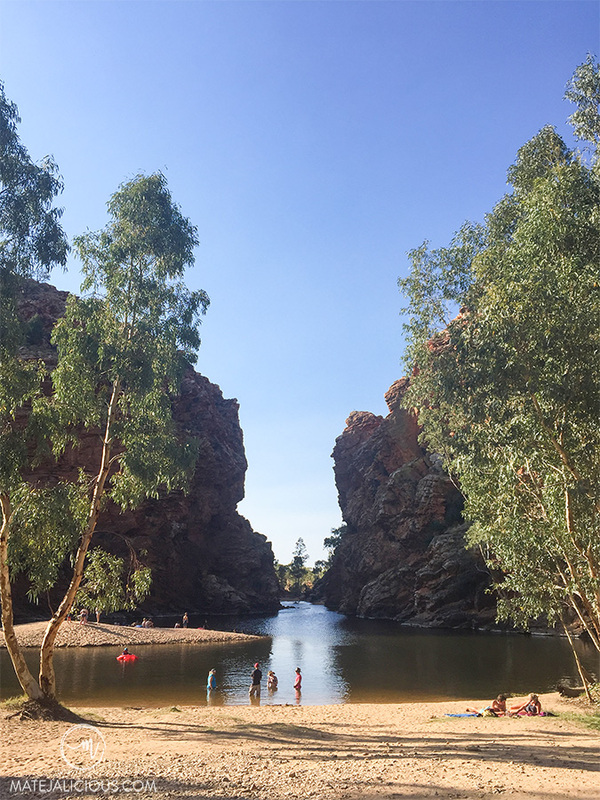 This gorge is located around 90km from Alice Springs, perfect for day trips and nice picnics. 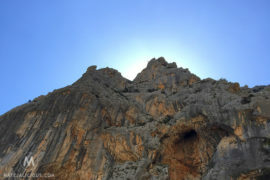 There is also a 3km Dolomite Walk (1.5h) in the area that can get you up on your feet and exploring the nearby cave and slopes. 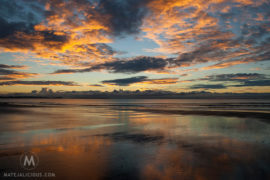 • Facilities: basic campground, picnic area, toilets, gas BBQs, wheelchair access. I was exploring the sheltered Serpentine Gorge late in the afternoon and reached the small waterhole at the mouth of the gorge after a short 1.3km hike (30 min) by following the track of the river bed. Despite already being in full shade at that time, I still found it very beautiful. The small waterhole is functioning as an important refuge for water life, protecting the fragile ecosystem. There’s no swimming allowed here as this area is protected for cultural and environmental reasons. • Facilities: toilet, shade shelter, picnic tables. Located 135km west of Alice Springs, Ormiston Gorge is for me perhaps the most majestic gorge out of this bunch from the West Macs. 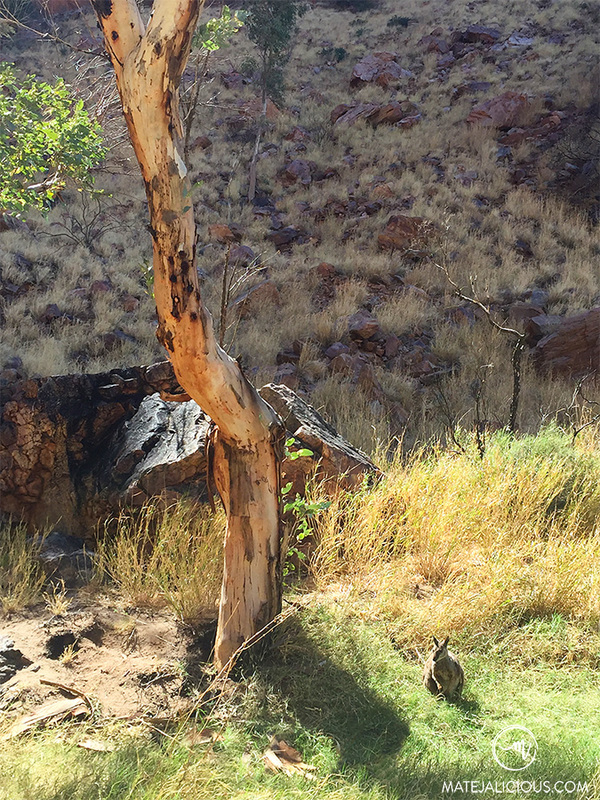 Tucked in the MacDonnell Ranges, it offers great walking distance discoveries, and even a few hiking trails start here. 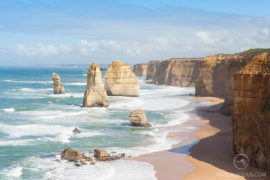 This rugged landscape that is made up of layers of limestone, quartzite, mudstone, dolomite, and sand, was sculpted by the floodwaters of the Ormiston Creek over the past 300 million years. 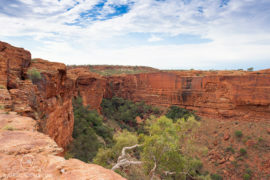 You can take a short walk up the hill to a Ghost Gum Lookout platform (20 min) for some spectacular views of the rugged cliff faces and a permanent waterhole (up to 14m deep) with a sandy floor. 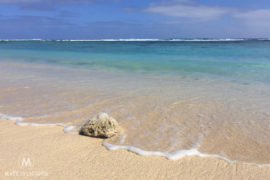 Refreshing water is ideal for swimming. I had nothing but a great experience staying in the camp here. 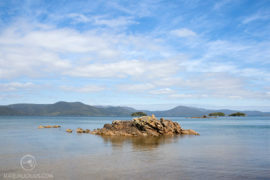 • Facilities: kiosk, toilets, showers, campground, gas BBQs, visitors centre. 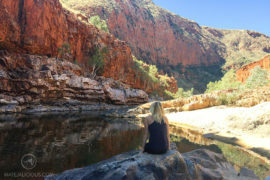 Glen Helen Gorge has become a popular place for an overnight stay, often even a base for exploring the wide MacDonnell Ranges. You can find campsites, accommodation and a restaurant at a near Glen Helen Resort, which is a great option for anyone that travels by car and doesn’t camp. The landscape around Glen Helen is beautiful. You’re able to walk along the riverbed between towering sandstone walls and stop at the permanent Finke River waterhole. The Glen Helen Gorge area is quite an important refuge for desert wildlife, especially fish and migrating waterbirds. 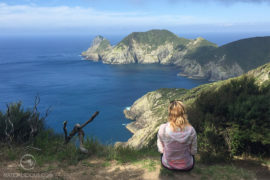 • Facilities: fuel, accommodation, campsites, Campervan Sites, carpark, restaurant, public toilets with shower, BBQs, cabins. Redbank Gorge sits at the base of Mt Sonder, 156km west of Alice Springs. 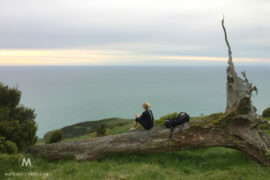 This is a starting point for Mt Sonder hike. From the carpark, you’re also able to take a 20 min walk along a narrow track and across the sandy creek bed to reach this gorge with a permanent waterhole. 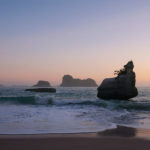 Redbank is ideal for swimming as there is so much to explore going further into the gorge. 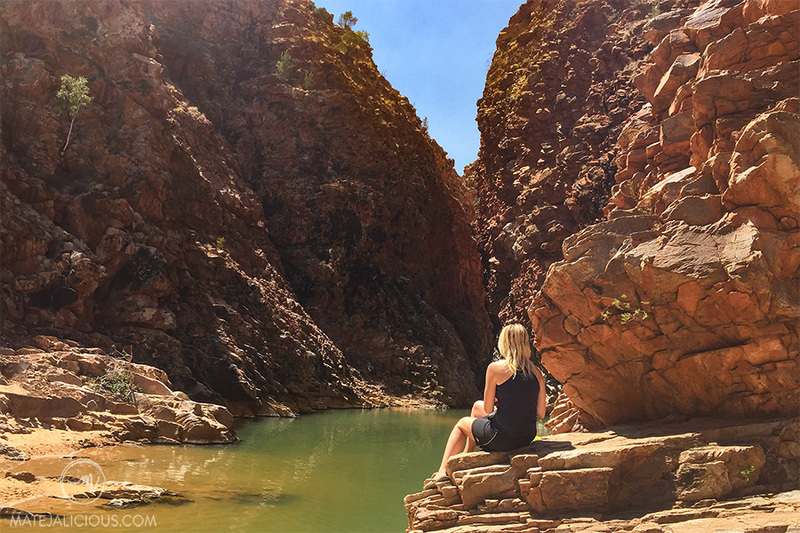 This place truly is stunning and was one of my favourite spots in the West MacDonnell Ranges! Although it’s furthest from Alice Springs, do stop here for a real adventure. • Facilities: basic campsites, picnic tables, gas BBQs, toilets. 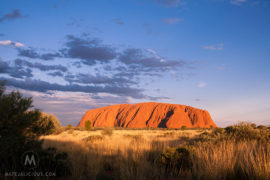 • Tnorala (Gosse Bluff) is located 175km west of Alice Springs. 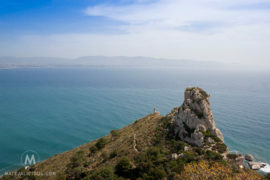 About 140 million years ago a meteor struck Earth at this place, leaving a large impact crater. 4WD required. 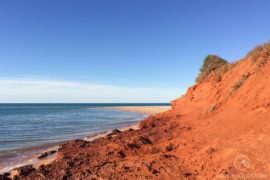 • Ochre Pits is a protected sacred site, an area of coloured cliffs, where Aboriginal people mined red, yellow and white ochre for their ceremonial paint. • The Desert Park is just a short drive out of Alice Springs. It brings you closer to Australia’s desert environment and you’re able to learn about animals, plants, and people of the region. 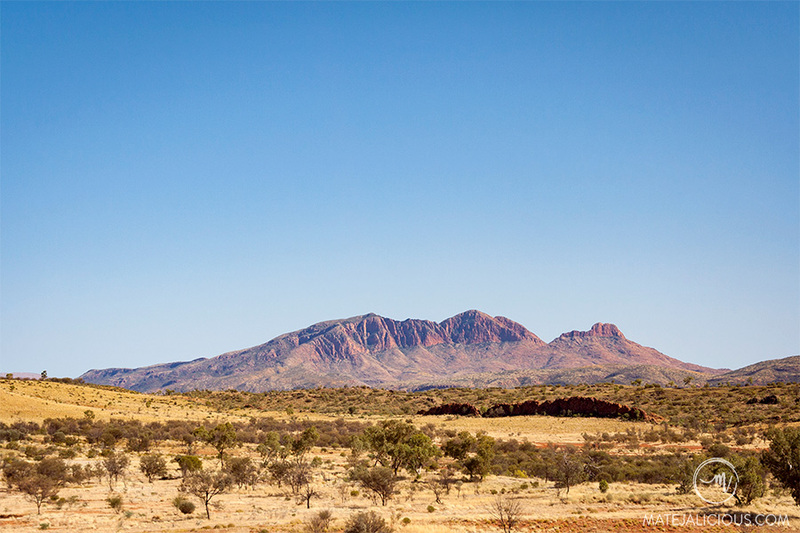 • Mt Sonder is one of the highest peaks in the West MacDonnell Ranges. 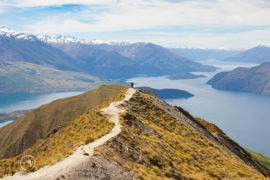 The return walk to the summit takes up to 8 hours. 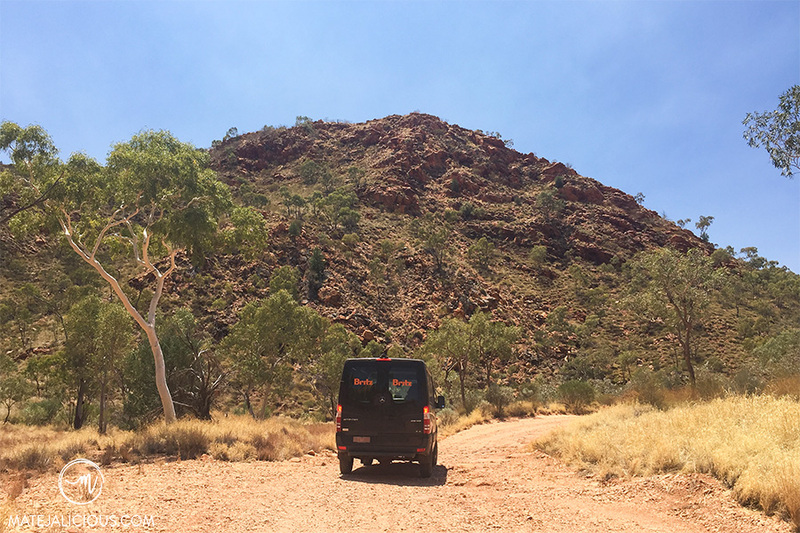 • Larapinta Trail is a 223km long distance track with 12 sections that extend from the Alice Springs Telegraph Station to the summit of Mt Sonder in the West MacDonnell Ranges. 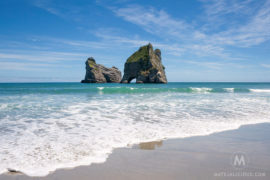 • For a multi-day adventure bring your own water supplies and food. • Have some cash on hand for camping fees that are payable at each camping area. 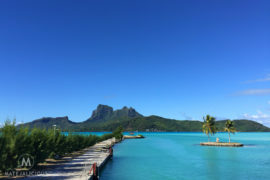 • Waterholes are very inviting and fantastic to swim in after a hot day in the sun, however, they are all quite cold due to the lack of sunlight and movement. Stay in for short periods only. 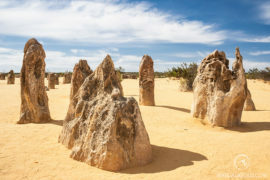 • The whole West MacDonnell National Park area is of great cultural significance and full of important sacred sites. Read the signs and act accordingly when you visit. 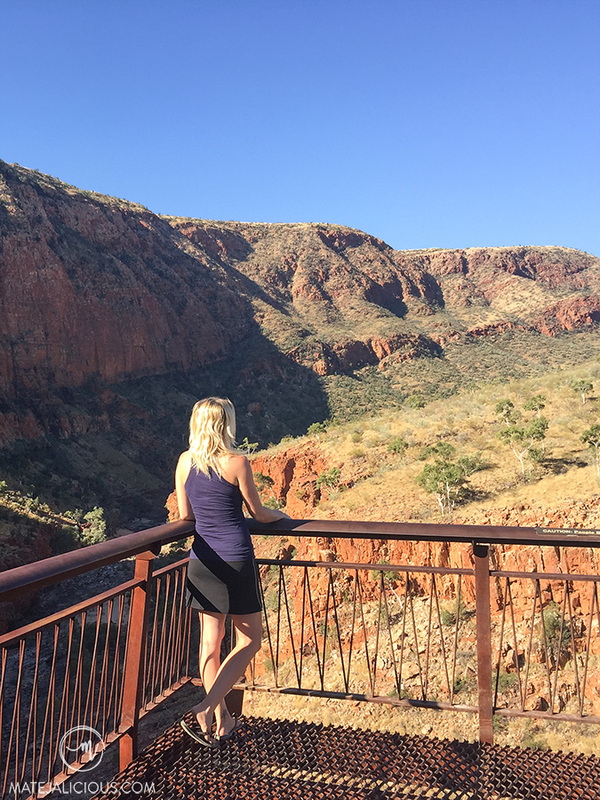 Have you had a chance to explore West MacDonnell Ranges? Have you visited any other ranges and canyons around the world? What was your experience?